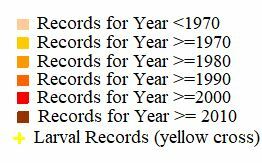 Notes: Very rare immigrant (less than 10 previous UK records) from North America, appearing in the south-west on five occasions: at Aberystwyth, Cardiganshire in July 1954; Maidencombe, Devon in October 1958; Northwood Park, Crawley, Hampshire in October 2001; St Mary's, Isles of Scilly in July 2002; and Cwm Ivy, Glamorgan in September 2002. Not recorded from the Isle of Wight to date. Wingspan 38-44 mm. 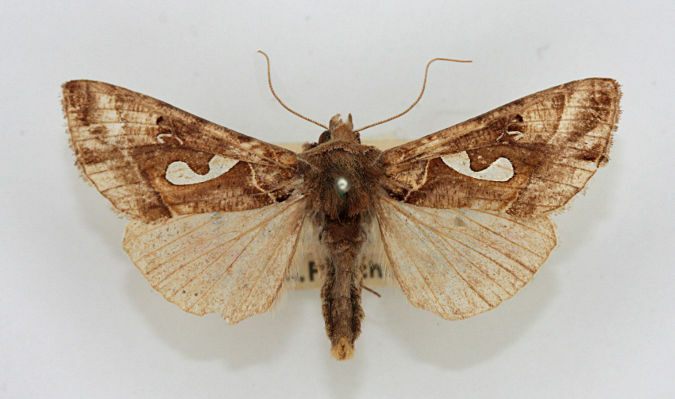 It is unlikely that records of this species will be accepted unless the specimen is retained for examination. Larva feeds on commercial crops such as Cabbage, Garden Lettuce and Tobacco, causing sufficient damage to be a serious pest in some areas, no evidence of breeding in the UK.